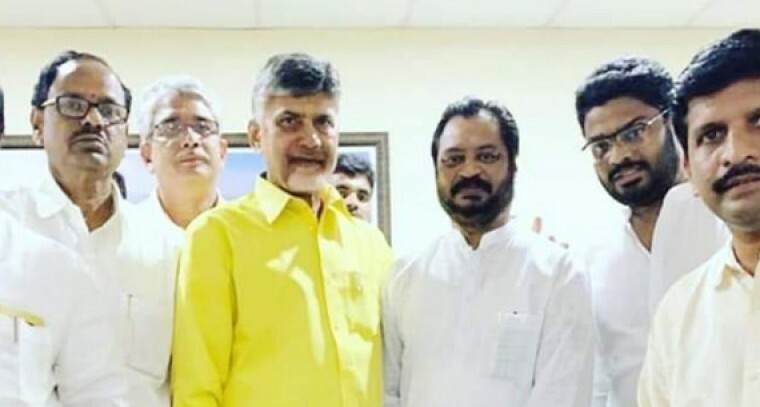 Amaravathi: Harsha Kumar joined TDP in the presence of Chandrababu Naidu four days ago. He not only touched the feet of AP CM on the stage but also regretted not being able to understand him until now. He tendered his resignation to the Ruling Party within few days. Harsha Kumar was lured into TDP with a promise on Amalapuram MP Ticket. He received a rude shock with his name going missing in the candidates list announced by the party. And the former MP decided not to continue in TDP anymore. Post his resignation, Harsha Kumar alleged Jana Sena and TDP are one and the same. He challenged Pawan Kalyan to swear on the god that there is no alliance with TDP. He went on to say TDP has been deciding candidates of Jana Sena, Congress and BSP. Harsha Kumar told he wouldn't contest in 2019 Elections. He, however, asked his followers to vote for any party as per their conscience.